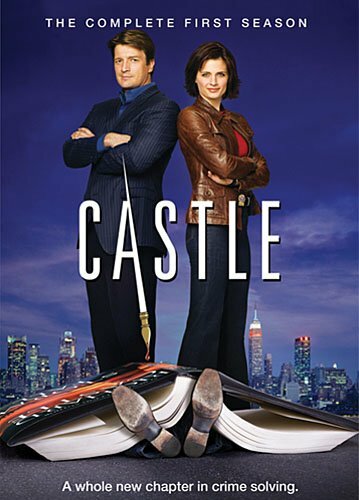 Order ‘Castle: The Complete First Season’ starring Nathan Fillion, available from Amazon.com by clicking on the DVD cover above! (EDITOR’S NOTE: Unfortunately, this was not one of the show’s better moments, technically speaking. I’m a big fan of Fillion’s work and everything that could go wrong here, did. It was Firefly fail times a thousand.) Nathan Fillion has paid his dues and, I suspect had a good time doing it. He’s the guy you know and recognize when you see him—oh, yeah, you think—that guy! 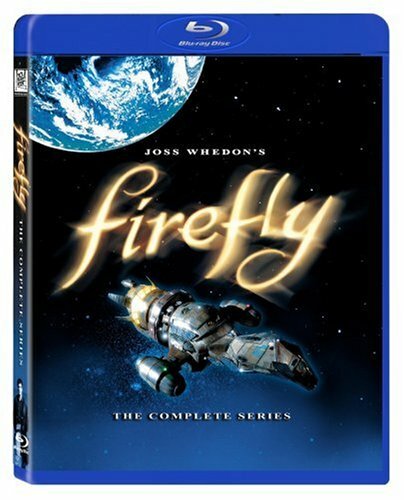 Order ‘Firefly: The Complete Series’ [Blu-ray] starring Nathan Fillion, available from Amazon.com by clicking on the DVD set above! Now it appears Fillion has met the role that could be a perfect match for him. He was last seen on “Desperate Housewives” as Dana Delany’s beaten-down, much younger husband, Dr. Adam Mayfair. But before that, you’ve seen him in everything from Joss Whedon’s late, lamented sci-fi series “Firefly” to the online sensation, “Dr. Horrible’s Sing-Along Blog.” He also co-starred in the movie Waitress with Keri Russell. He is novelist Richard Castle, the lead character in the new Monday night ABC series “Castle.” The show, which may remind viewers of a certain generation—mine—of “Moonlighting” and younger viewers, perhaps, of “Bones,” airs at 9 p.m.
Order ‘Dr. 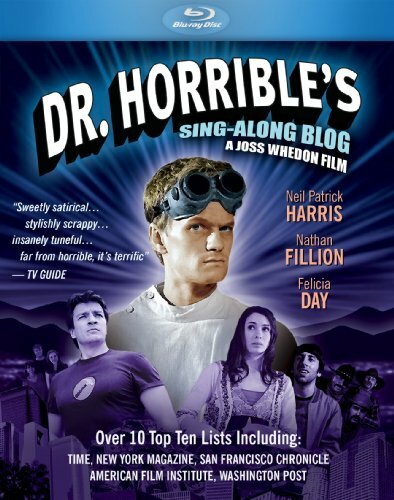 Horrible’s Sing-Along Blog’ [Blu-ray] starring Neal Patrick Harris, Nathan Fillion and Felicia Day, available from Amazon.com by clicking on the DVD above!